UPDATE (Wednesday, August 10, 2016): Photographer Elaine Ling died Monday, August 1, of lung cancer. She would have been 70 this December, which seems impossible, given her spirit and zest. She did have a great smile. Here is her obituary, and here a tribute to her on photo-eye’s blog. A death like this catches me off guard. And I’m afraid it’s going to be an increasingly familiar event in the coming years as the large contingent of fine photographers of my acquaintance who happen to be my age and older move further along the continuum. Fare well, Elaine, and I hope your travels remain fruitful. This morning’s note relates to persistence and resilience. And wends its way into a book. A friend asked me to write a job recommendation for him. My first impulse is yes, of course I’ll write the letter. I think highly of him and his work, want him to succeed in getting whatever job(s) he wants, and I’m willing to do what I can to help. 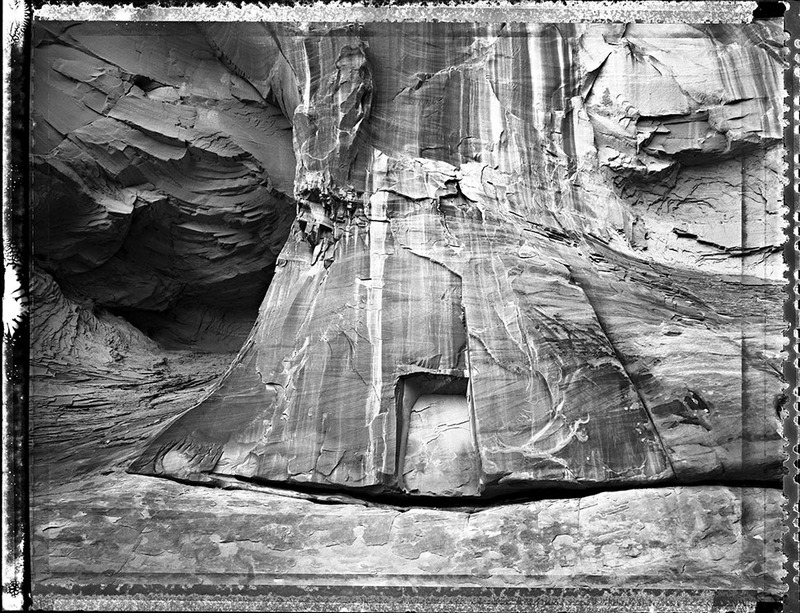 Like so many artists, he has been striving to get by for years; unlike many others, though, he’s had a high degree of recognition for his photography and should be a lock on most any post in the field. Reviewing the job description, however, I get the feeling that the person they’re looking for is not my friend. As good as he is, and as lucky I feel the college would be to have him, I get the uncomfortable sense that he’s got too much of certain qualities and not enough of others. Persistent as my friend has been, I worry that the market has lost its fondness for him. I suspect he feels this too. 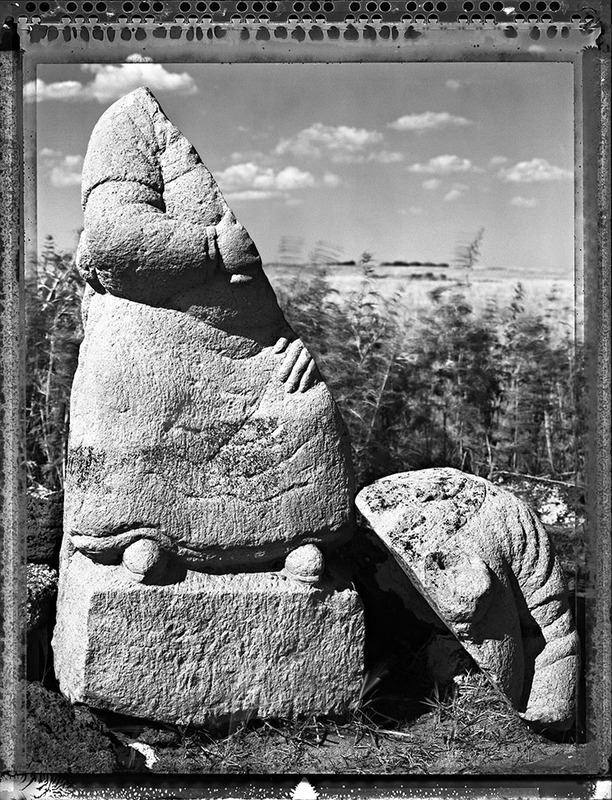 But he has time and again proved his resilience, finding teaching gig after commission after grant after publication after project, closing out one and initiating another, feeling down and then rising up again, often finding himself working outside the photo-art arena to fill the gaps. I’ve always liked this guy, and over the years I have come to admire him as well. 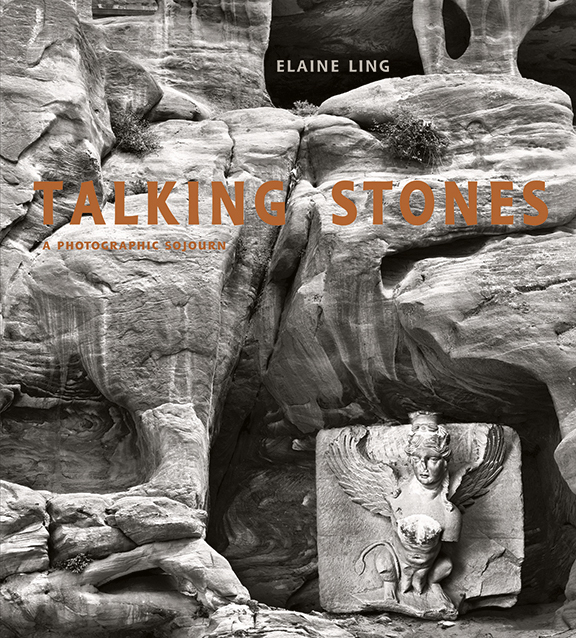 This week’s book, Elaine Ling’s Talking Stones: A Photographic Sojourn, symbolizes my own extended encounter with Ling and captures my persistence and her resilience. When I first met her across a review table I had what I can only describe as a neural short circuit. For whatever reason, this normally loquacious reviewer lost his power of speech. I just could not find words to put to her work. Or even thoughts to generate words. I stumbled through 20 minutes with her, concluding with the sense that I had thoroughly wasted her time. The next review event, however, she came back to see me again. Glutton for punishment, I thought, but the exchange was a hundred-fold better; I found thoughts and words for them. I was grateful to her for giving me another chance, and I’ve come to like her work quite a bit. Ling’s photography embodies both sojourn and trek. To get each of these images requires, to put it mildly, a good walk. I’m guessing Ling’s “walks” have exceeded what Cheryl Strayed accomplished in her Wild journey, in terms of persistence and resilience as much as distance. Once Ling covers the distance to her destination, the sojourn begins. 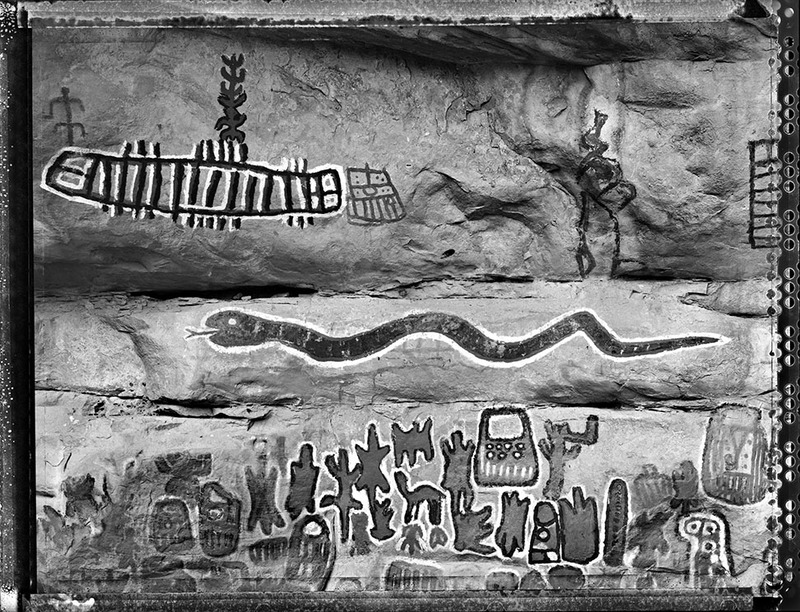 Each of her images of stone-based temples, dwellings, sacred sites, and narrative inscriptions of varying complexity reveals a portraitist’s patience and intuition-guided visual gestures. This approach contrasts with the reductive, formulaic (though not necessarily faster or more superficial) eye of a cataloger/typologist. Perhaps the large-format camera slows her down in a way that perfectly accommodates her practice. I’m reminded of Linda Connor. also a view camera trekker. Connor tells wonderfully scatological, demystifying stories about making photographs that seem transcendently effortless, captured in a state of pure bliss. Not the case with her, or with Ling, I imagine. Ling’s process discovers character in inanimate material. I don’t know if she works quickly, or if she spends days at each site, but the results are varied enough that I sense she listens carefully to what these stones have to say (as the book’s title implies) and responds with photographs that respect the messages she gets. Consequently, and in combination with very large, richly inked reproductions on oversized pages, this book is a delight to dwell with and within in pursuit of your own sojourner persona, likely to be part vicarious arm-chair traveler and part awestruck photo consumer. Having met her in person makes her photography even more remarkable, given that she is scarcely larger than a view camera tripod but blessed with an unflappable, energetic spirit. And, by the way, when she’s not trekking she’s a family doctor and occasional cellist in Toronto. If you’re looking for reasons behind her wanderlust, you might be interested to learn that she was born in Hong Kong and moved to Canada when she was nine. Now, there’s incentive for some serious cultural resilience.